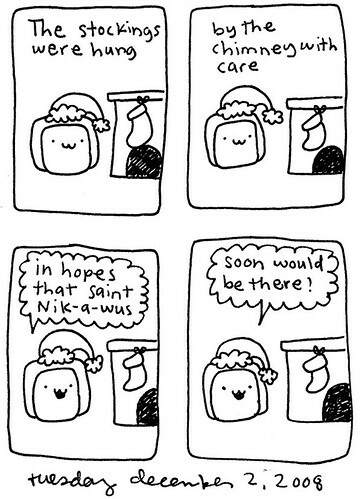 Pweeze have a gweat howiday this year! Wemember my cartoon fwom 2008? 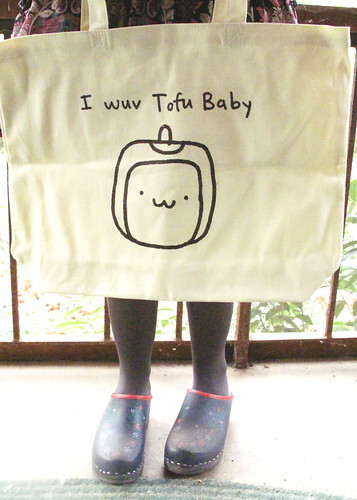 My fwend Gwace asked me for a tote bag wecentwee. 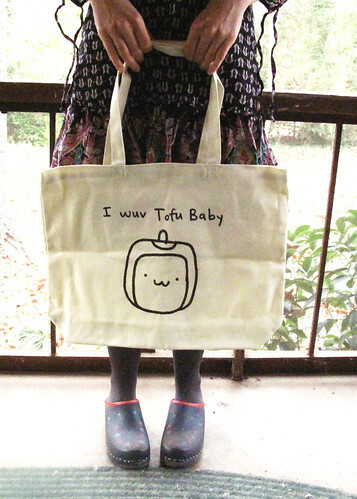 I made this tote fwom some iwon on twansfer paper I had at home. It was a widdle difficult, but it came out. The tote is made of heavy canvas. I think it wooks okay!